Building and decorating gingerbread houses are fun Christmas activities for kids. 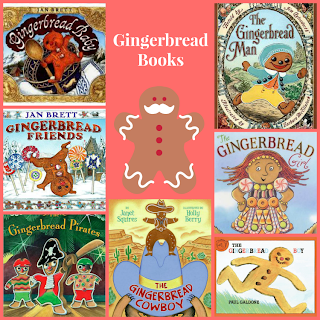 Plus there are many books about gingerbread men that can really capture the attention of young readers. My boys have been reading about gingerbread people lately. They really wanted to build gingerbread houses. Have you ever built gingerbread houses with preschool-kindergarten aged kids? It can be a messy disaster! Milk carton gingerbread houses are a good solution to the traditional gingerbread house mess that we've made in the past. Here's how we made gingerbread houses using milk cartons. Also, if you are looking for today's giveaway in the 12 Days of Giveaways that is running Dec 4-15, you can find today's giveaway on my facebook page. One simple entry is all it takes to win an entire beach thematic unit! Ends at midnight tonight (12/7). Enter here. On Wednesday we attended Arts and Crafts with Santa which was hosted by our wonderful local Parents as Teachers organization. This is an event where families do adorable crafts and Santa makes an appearance and hangs out with each family! One of my favorite activities was making these milk carton gingerbread houses. Begin with 6 graham cracker halves, milk carton, white icing. You'll also need a plate to build your gingerbread house. A knife or a large craft stick will be helpful for spreading icing. You'll want to begin by sticking your milk carton to your plate. Use a blob of the icing as "glue". This will give your house some stability. Smear icing on two of the graham crackers and place on top of the milk carton as a roof. Do the same thing with the other four graham crackers and place around the edges. Fill in any spaces with icing to hold the house together. It may take up to 24 hours for the gingerbread house to dry. Logan's kindergarten class has been learning with a theme of gingerbread this week. 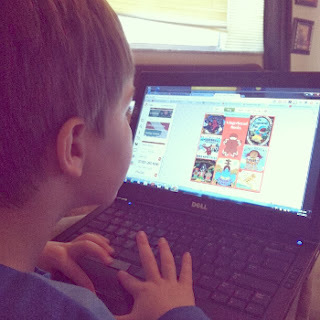 He has loved all of the different versions of The Gingerbread Man books his teacher pulled for his class to read. It is so fun to begin getting book recommendations from Logan! 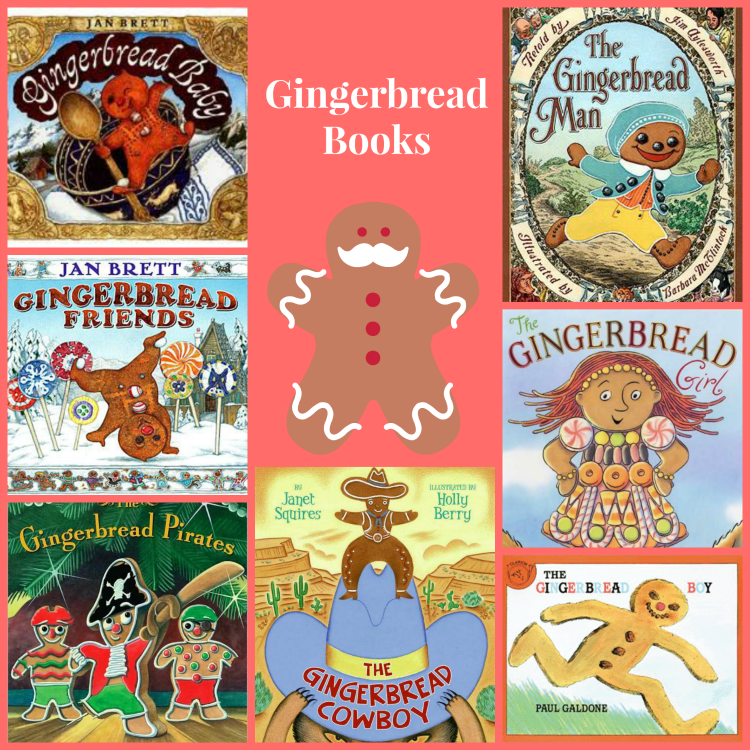 Here are his recommended Gingerbread Man books. By the way, Logan dictated this list, helped me locate images, and made his first picmonkey collage to share with you! He loved "writing" his own book recommendations! Don't forget to enter to win the preschool beach unit on my facebook page. You can also find me busily pinning on Pinterest, tweeting on twitter, and chatting about the best Children’s literature on facebook and Google+. Your gingerbread houses are so cute! We did this last year my prek class and it was by far the best result over many other attempts throughout the years! We used icing that came in a pouch that we could squeeze out like glue - it was very convenient!